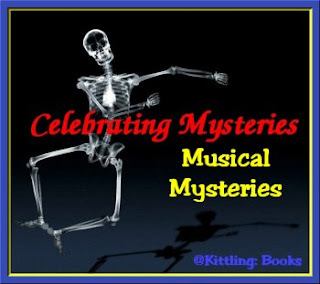 Welcome to week two of my celebration of mysteries with a musical theme. I hope that I'm reminding you of an old favorite or two, or introducing you to new authors that you just have to try. This month, I was aided by my crime fiction think tank, 4 Mystery Addicts. I'm featuring three authors whose main characters all play musical instruments-- to be exact, a cello, a saxophone and a piano. Let's meet authors Morag Joss, Rick Blechta and Bill Moody and talk a bit about their books, shall we? 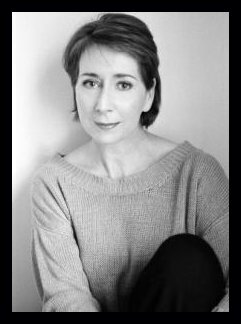 Morag Joss is an English-born Scottish writer who's written six books and has won the Crime Writers Association Silver Dagger Award for Half Broken Things. 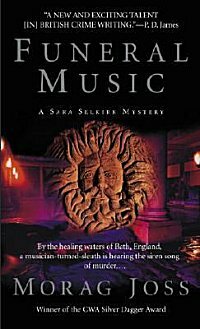 At the start of this exquisite crime novel from British author Joss, renowned cellist Sara Selkirk gives a charity performance at Bath's historic Pump Room. The evening goes well, but when she returns to claim a forgotten belt the morning after, she discovers Matthew Sawyer, the contentious "Director of Museums and Civic Leisure Resources," lying dead in the ancient spring that waters the legendary Roman baths. Spurred by the details reluctantly divulged by her student, DCI Andrew Poole, Sara tries to puzzle out Sawyer's murder. She knows a number of the potential suspects.... Many motives lead to little hard evidence until another body surfaces and Sara finds herself suddenly clear about not just the mystery but her own future. If rich, gorgeous Sara sometimes seems too perfect to be true, the book's supporting cast is nicely fleshed out with human idiosyncrasies and tangled cross-purposes. Even better are Joss's lyrical evocations of Bath, which becomes the book's most compelling character. 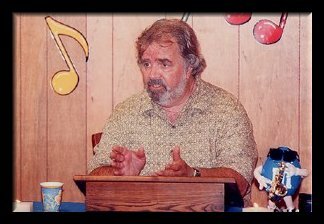 Rick Blechta began his professional music career at the age of fourteen in a local Rhythm & Blues band although his taste is not limited to that one style. He is accomplished in several instruments and sings as well. Rick moved to Canada in 1971 to complete a Bachelor of Music degree at McGill University in Montreal. 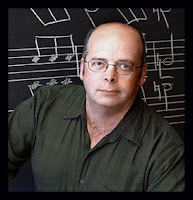 After a brief stint in the music business, he turned to music education and began to teach. Chris McKessock, part-time sax player and substitute school teacher, is content to drift through life, but that's about to be turned upside-down. An old friend who also happens to be a police detective talks him into helping an undercover operation against a gang of particularly clever drug dealers, hurling Chris into a sordid world of blackmail, cocaine smuggling, and sudden death. When their first solid lead in the case is murdered and an intriguing woman enters his life, Chris realizes he has a personal stake in the outcome. 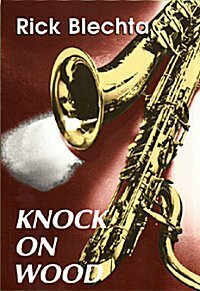 Set against a background of classic Rhythm & Blues music and contemporary classroom hell, Knock on Wood is told in the wryly observant words of a reluctant and unlikely hero, scrambling to make a living in the wilderness of the New York suburbs and minding his own business -- until life catches up with him. 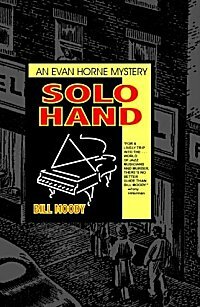 A music-biz insider uses his connections with slippery agents, sneaky producers and his fellow jazz artists to solve a blackmailing case in this entertaining debut set in L.A. Evan Horne, once a career jazz pianist, is recuperating from a car accident that damaged his right--aka "solo"--hand. His former employer, jazz singer Lonnie Cole, isn't doing too well either. Although Lonnie has just collaborated on a promising crossover album with a country and western star, Lonnie has received an envelope of photos that show him and the C & W man in compromising positions at a wild party. A note enclosed with the prints names Evan as the go-between to carry $1 million to the villainous photographer. Though insisting that he's not involved in the scheme, Evan grudgingly agrees to act as an amateur investigator and warily undertakes his new role, sticking with it even after he's hit on the head and pushed, unconscious, into a marina. Moody creates a tangle of clues and motives that Evan determinedly untangles despite his lack of PI experience. Jazz fans hoping for descriptions of artistry will find workaday musicians instead, but Moody's portrayals of the backstabbing music industry and a royalties scam ring true. After reading about these three authors and their books, I hope I've intrigued you enough to give them a try. Don't be shy about coming back and letting me know what you think of them. Next week, I'll be taking a look at how three crime fiction writers use the radio as a medium for music and murder. See you then! Cathy - Now you've really appealed to my musician's heart :-). I must explore these writers!! A Scottish writer named Morag? I think I may have to try her one day.